In very northern Minnesota, there are over a million acres of preserved wilderness just waiting for you. 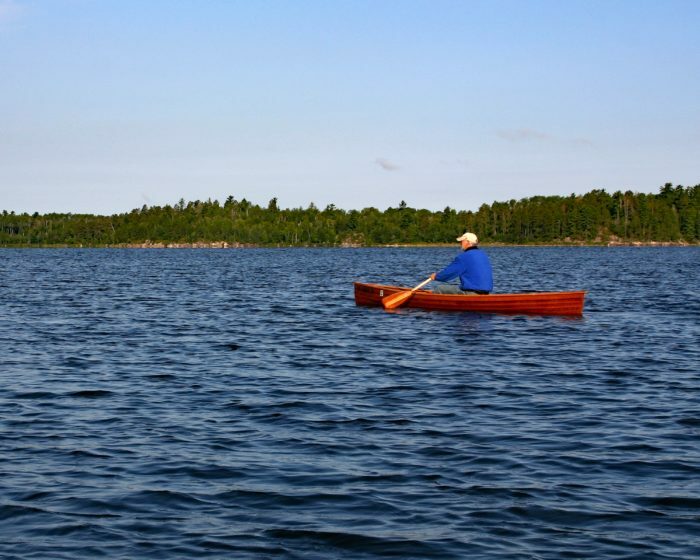 Sitting on the thick bedrock of the Canadian Shield and filled with lakes, streams, and boreal forest, the Boundary Waters Canoe Area Wilderness (BWCAW) is a great option for those wanting to immerse themselves in nature without committing to walking hundreds of miles. 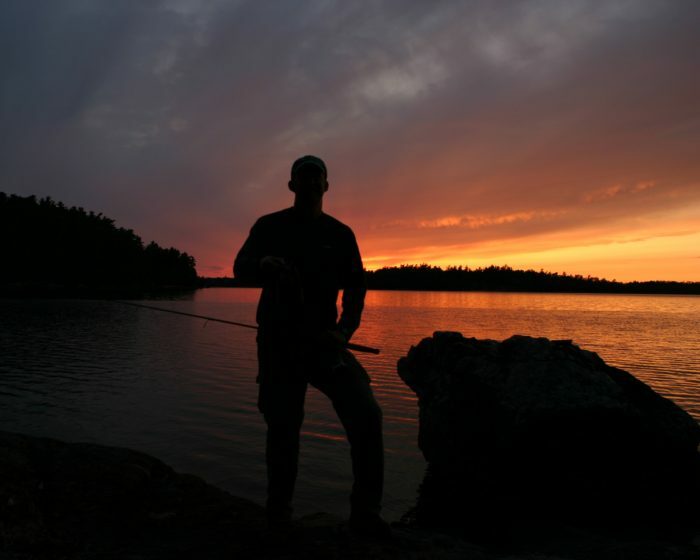 Below are just six of the many reasons why a trip to the BWCAW might be right for you. At 1,090,000 acres, the area provides plenty of room to spread out. If that’s not enough, adjacent Quetico Provincial Park in Canada adds another 1.1 million acres to the mix. Together, they are four times the size of Great Smoky Mountains National Park. And there is not a single road. This is a true wilderness. Beyond no roads, motors are restricted to a few lakes on the periphery so all transportation is human powered. Much of the area is beyond the reach of cell phones. 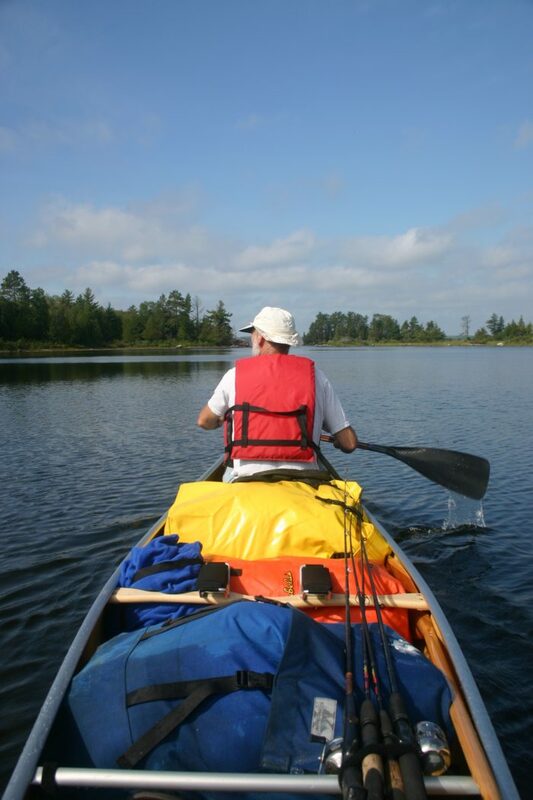 As the area is crisscrossed with lakes and streams, the preferred method for travel is by canoe with portage trails cut between lakes and around rapids. Think of it as the ultimate blue blaze trip. As there is no single trail to follow, each person is free to draw up their own experience. 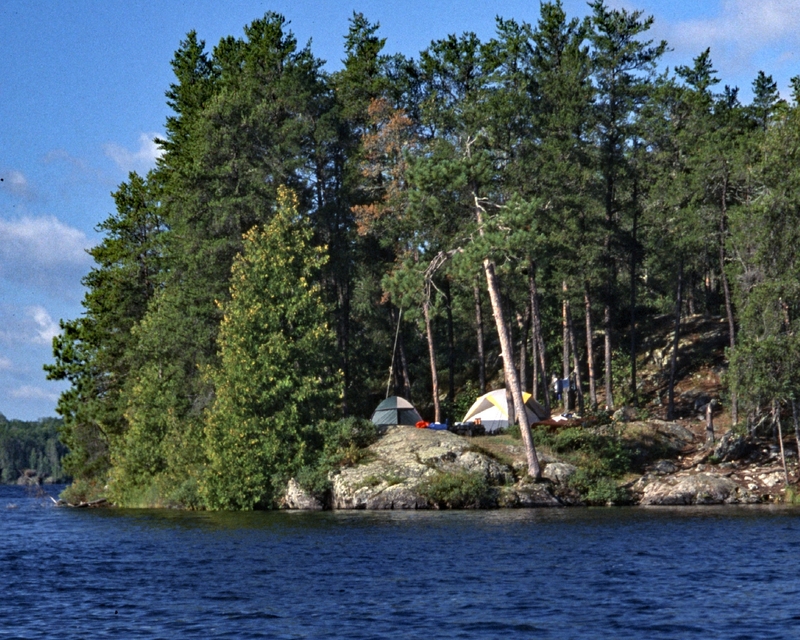 With over 1,000 lakes, 2,000 designated campsites, and 1,200 miles of canoe routes, the options are endless. You can travel a short distance and base camp or tackle a long, grueling loop over several portages to ensure solitude. There’s no set start date so anytime between ice out (typically early May) and winter’s return (early November) can work. It all depends upon your availability and your priorities. Fishing and wildlife viewing tend to be best early and late in the season. If you want to swim, shoot for mid to late summer, though you will see less wildlife and more people then. For me, the best time is early September. The weather tends to be warm enough for summer weight bags, severe thunderstorms and mosquito attacks are much less likely, and you have the place pretty much to yourself. So, unlike following a set trail, this trip can be completely customized. The distance traveled can be based on the group’s ability and ambition. Your priorities (wildlife viewing, fishing, solitude) can determine the destination. In addition, there are many outfitters that are happy to help plan your trip. There are permits required for a trip to the Boundary Waters. Beyond a permit reservation fee of $10, camping is an additional $16 per adult and $8 per youth for the trip, regardless of duration. For example, two adults, whether they spend two days or two weeks in the BWCAW will spend $42 in permits. Local outfitters are available to assist with getting the permits as well as providing all the equipment needed. Most offer either full outfitting, including food, or partial outfitting down to just a few specific items that aren’t typically part of a backpacker’s gear. While the hiking between lakes (portaging) can be challenging, most transportation is done by canoe. What this means is: don’t bother counting ounces. If you want to bring it, throw it in the boat! My largest boat has a capacity of 800 pounds. While I’ll never approach that, I’ve also learned not to skimp when packing. Those 18-ounce camp chairs won’t perceptively slow the boat down, but they sure are nice to have at the end of the day. The work of traveling through the BWCAW is done mostly by your upper body. You can visit this wilderness while, comparatively speaking, giving your knees and hips a break. Throughout the park are reminders of the park’s rich history. Pictographs and petrographs provide vivid reminders of the historic and prehistoric Ojibwe people that once lived on the land and water. During the 18th century, voyageurs paddled and portaged through the Boundary Waters, hauling trade goods west and furs back east. The border with Canada in this area is based upon their famous trade route. Logging and mining followed and remnants of that work can be found by those interested. By the early 20th century, many began to see that the best use of the land would be as protected wilderness, and in 1909, President Teddy Roosevelt signed legislation designating the area as Superior National Forest. 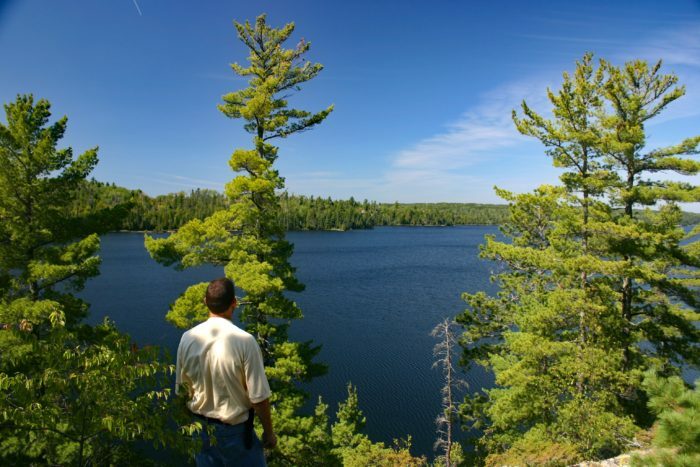 Protections improved through the years and the BWCAW achieved its wilderness designation in 1964. Many things make the Boundary Waters special and worthy of a visit. At the top of the list is water. Approximately 20 percent of the entire area is lake or stream. The lakes are (almost) clean enough to drink from and they harbor world-class wilderness fishing for four species (lake trout, walleye, smallmouth bass, and northern pike). Along the rocky shoreline the boreal forest is thick with pine, fir, spruce, and cedar, significant portions of which have never been logged. Deciduous maple, aspen, and birch add to the diversity of these north woods. In such a large, contiguous wilderness, wildlife has an opportunity to thrive. 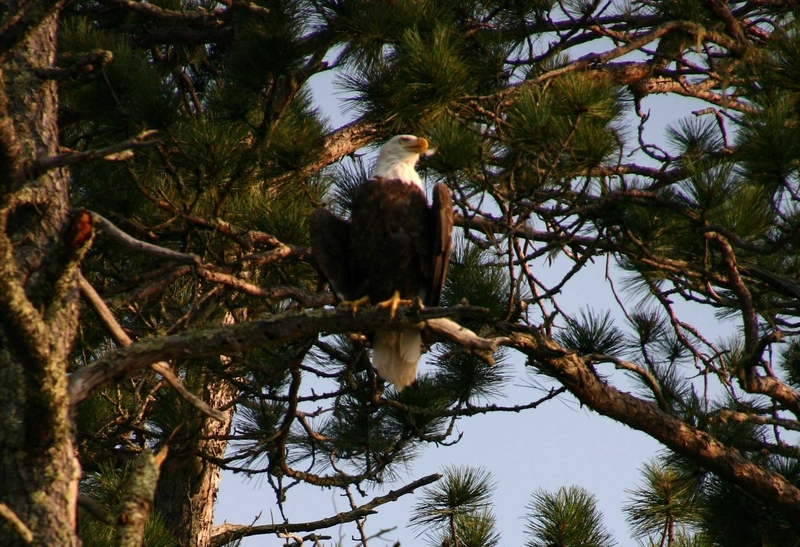 Sightings of deer, beaver, otter, and eagle are common. Moose and bear occasionally make an appearance and a few lucky visitors may get a glimpse of a wolf. Wolf howls in the distance and the haunting call of the loon add to the soundtrack of a trip there. 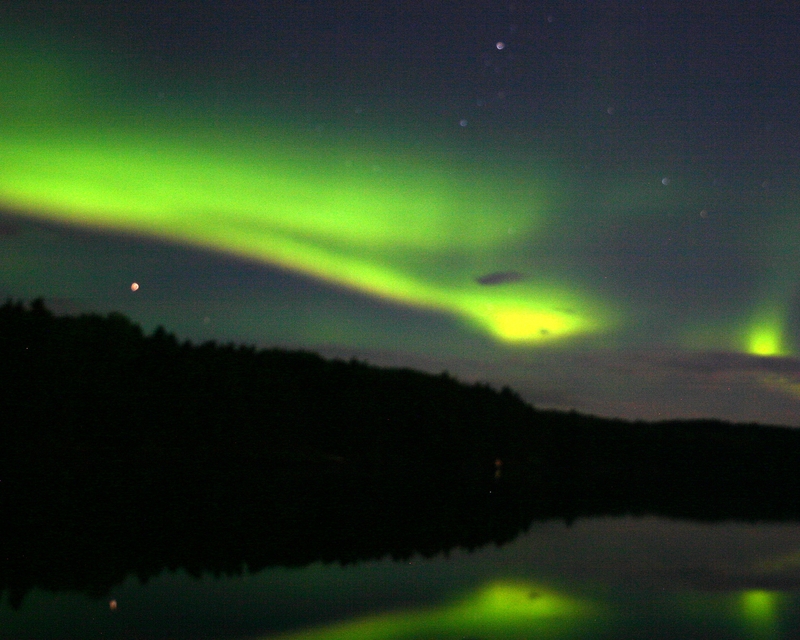 At night, the absence of light pollution provides a star show second to none, with the added bonus of a chance of seeing the northern lights. Put it all together and there are tremendous opportunities to reconnect with nature and recharge your soul. Whether you just want to be out in unspoiled wilderness with a group of friends, or take the solitary challenge of being safe and comfortable alone in the wild, the BACAW is a great option. These are some things to keep in mind. • The permit system that provides for seclusion can also make it tough to enter the area during the busy summer season. Plan on getting permits early. Details here. • The maximum group size is nine, with a limit of four watercraft. 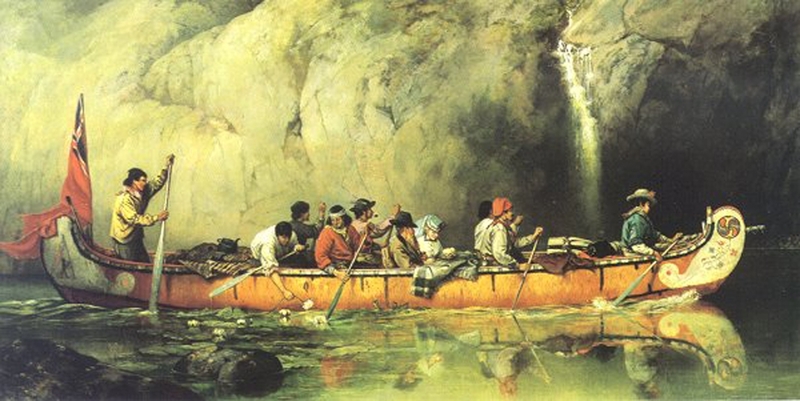 • Everyone in the group should be comfortable around water and in a canoe. The wilderness is not the place to try paddling for the first time. Wear those life jackets. • Bear bag your food. It works for the local bears and the more numerous mice. • Know how to read a map and a compass (and use them). 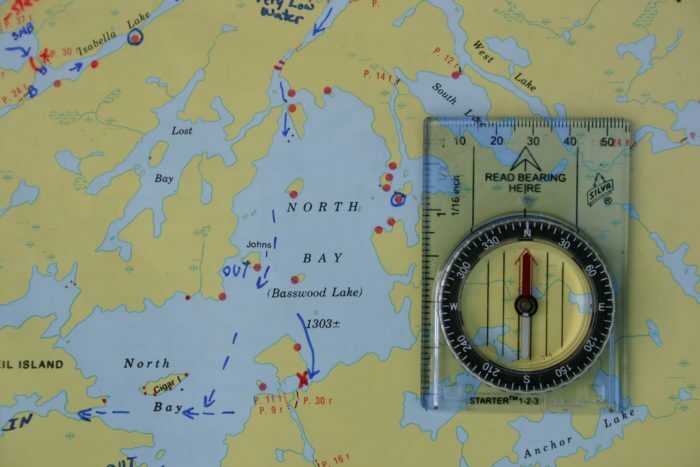 Big lakes with numerous islands can get confusing without regularly referring back to a map. • Bring a stove for cooking. During dry spells a fire ban may be instituted. • Many people drink straight from the lakes without any ill effects. I do not. Filtering water is just good common sense. • Outfitters I’ve used include Williams and Hall near Ely, MN, Voyageur’s near the Gunflint Trail, and Zup’s Resort on the western edge of the park, and permits can be found here. • More information for planning your trip has been compiled in a short book titled: Boundary Waters 101: A Primer for America’s Favorite Wilderness.